Welcome From Your Tour Guide. About Great Earth Expeditions. A vision of travel done right! Do you have a slight addiction for travel? Well your'e not alone! The Great Earth Expeditions team is made up of globetrotters who not only enjoy travel, but passionately enjoy sharing the experience of travel with others. We believe that travel can bridge gaps, eliminate stereotypes and help us understand and appreciate different cultures; besides isn't "variety" the spice of life? Travel done right can truly change a person's perspective of the world, broadening horizons and providing lasting learning and developing experiences - a brother/sisterhood if you would that brings us as people closer together! We believe in providing (YOU) our treasured travelers with an authentic and unforgettable experience which will ultimately enrich your life; this is the very core of our values. 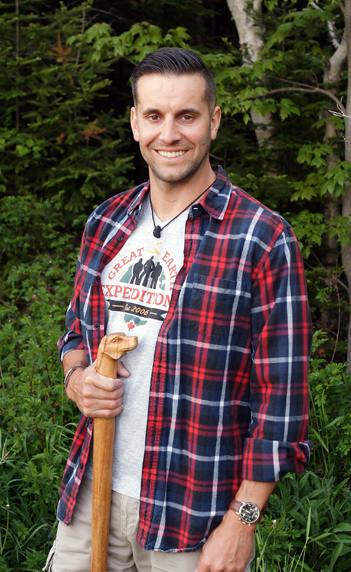 Ryan Barry is the owner of the award winning Great Earth Expeditions in Halifax Nova Scotia, Canada. As a young man he had a dream of one day starting an adventure tour company and began this journey when only 26 years old. He has acquired his Tourism and Hospitality Management Degree and years experience teaching 1st year tourism students at NSCC Akerley outdoor guiding and interpretation. 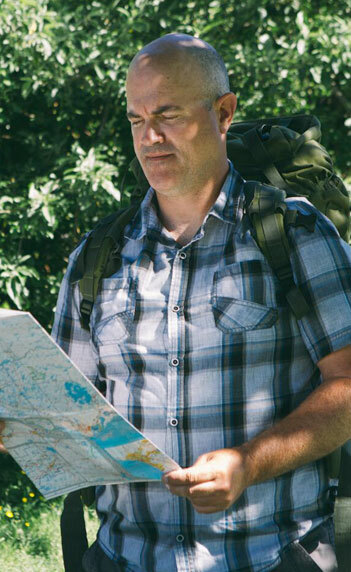 In the summer of 2016, he published a local top-seller travel guide titled “25 outdoor adventures in Halifax” and is now a member of the Travel Media Association of Canada. Ryan lives and breathes the great outdoors and now shares his travels through storytelling and writing on outdoor pursuits, active living and nature photography/video from around the globe. Line (pronounced Lynn) hails from upper Quebec but now calls Nova Scotia her home. Fluent in both English and French are just one of her many assets as an outdoor guide. 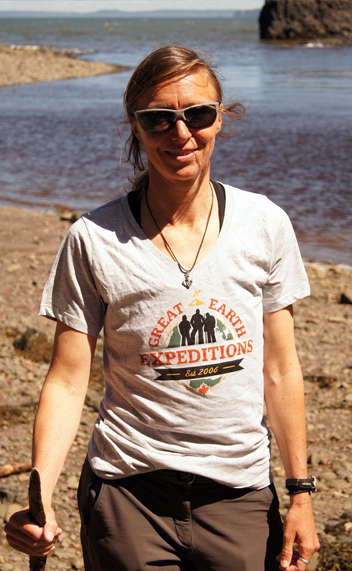 She has worked for Parks Canada as a guide for canoeing/camping training provided to staff at Canot La Verendrye. As a patrol supervisor in Gatineau Park she lead first-aid training for professional and volunteer patrol staff and also lead hikes in the park to educate volunteers on trail building and sustainable development. Since relocating to Nova Scotia she has spent countless hours exploring the forests, coastline and hidden gems found in the province. When asked what brought Line to Nova Scotia she simply replies "I was born to live here!" Mark brings a wealth of local knowledge that can only be garnered through life experience. He has spent most of his career in the Canadian Military and teaching physical education in the Halifax Regional School District. An appreciation for both active living and the great outdoors has contributed greatly to his success in transitioning into the world of guiding; having spent years doing city tours and now outdoor adventures. Mark is a passionate storyteller and always ready to share a tale or two about Halifax's fascinating history as well as information on the flora and fauna in the areas we explore together. 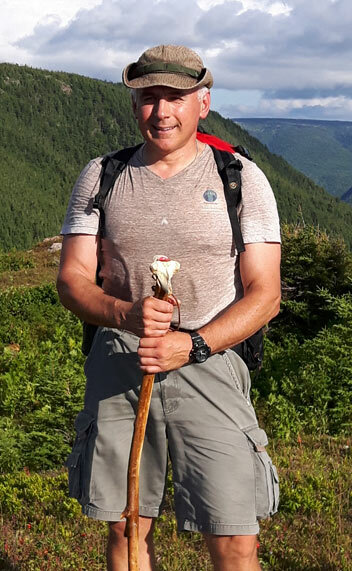 As our head guide for Cape Breton in the 2016 season, Mark had the opportunity to guide 20+ Canadian Forces members into the wilds of Cape Breton for 5 adventurous days, serving as the group leader for those who serve for us. Craig was born and raised in Nova Scotia but has traveled Canada from coast to coast residing in 5 other Canadian provinces. He spent a year living abroad in Australia and has explored many other countries since, like many of our guides he’s been bitten by the travel bug. He received his diploma in Adventure Tourism at the College of the North Atlantic in Newfoundland and enjoys implementing all of the skills and knowledge that he has acquired by guiding international clients visiting both Nova Scotia and throughout Gros Morne in Newfoundland. Craig enjoys many outdoor pursuits including kayaking, hiking and sailing and loves to share the natural beauty and interesting history that Atlantic Canada has to offer with our clients. Great Earth Expeditions is all about experiencing the great outdoors and embracing the various landscapes and cultures that make up this unique planet we all call home. 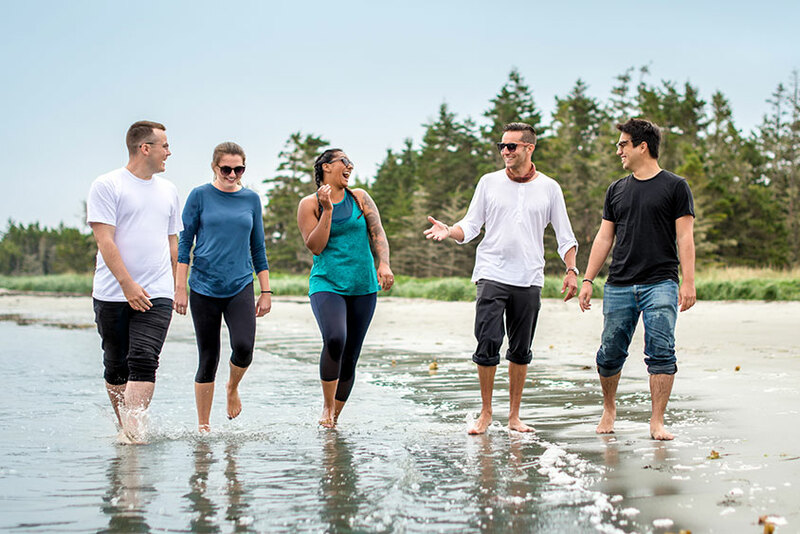 Our active-based adventures of Nova Scotia and abroad are exciting, educational and informative.Your guides are there to share their knowledge of these spectacular places and ensure that each tour is a safe experience for all. 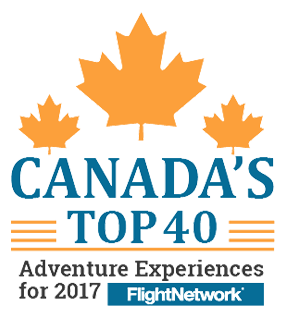 We truly believe we provide among the very best outdoor experiences you will find in Canada. Over the years we have been honored to receive numerous international awards from highly recognized and respected travel organizations. We strive to provide our clients with an amazing travel experience so you can return home with great photos, a deeper appreciation for a place and long lasting memories. The 2019 tour season is almost underway. Reserve your tour and secure a trip you'll never forget!